Next is a consulting company composed by different professionals, each of them, providing their knowledge in the areas of corporate restructuring, process reengineering, management control, strategic research, communication strategy, branding, digital marketing, research of new global markets and new businesses. 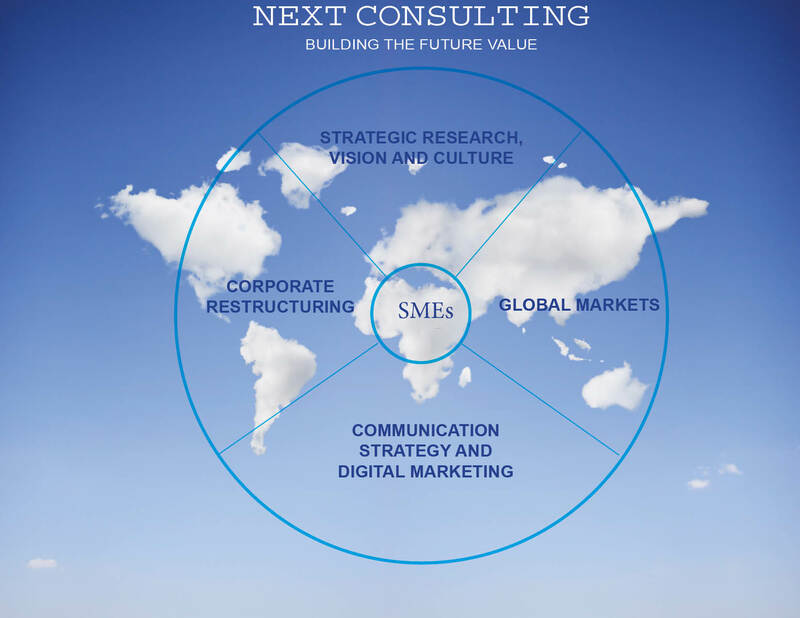 Next Consulting supports the development of SMEs, which often are equipped with internal lacking strategic functions which are instead vital to its growth path. SMEs can count on a consultancy company that operates in more business and in more functions, which identifies strategic opportunities by defining the operational path, by selecting the business realities to be involved, co-investing in the initiative and governing the construction process, such as a kind of network entrepreneur.